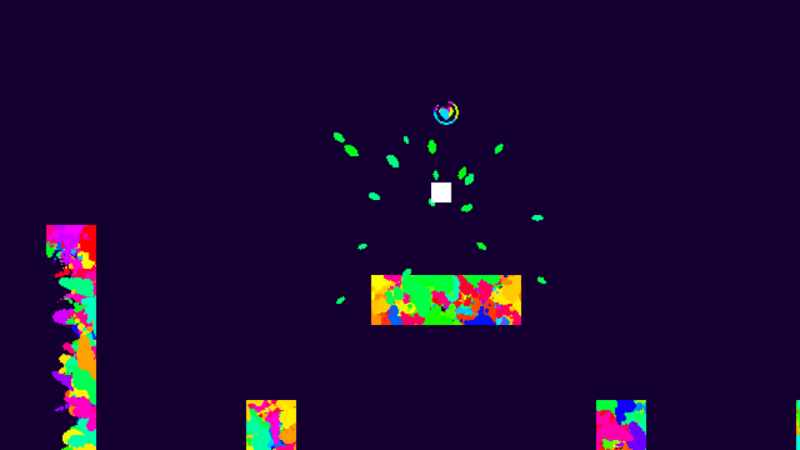 The premise of the game is simple, you are a white square that splashes out ink when it jumps. You have to reach another square to complete the level. Oh, and all the components of the level are invisible and only show up when ink hits them. INK‘s soundtrack consists of serene piano music, much like something you might hear in a day spa. I assume its only purpose is to calm you enough so that you don’t punt your computer down a flight of stairs. Below is a video of me attempting to play a level of the game. I had to completely disregard my voice-over as my language was as colourful as the ink and I don’t want a group of concerned parents picketing my house. Frustrations aside, you should probably pick up INK if you are looking for an affordable and fun game… it’s also good if you’re really into Jackson Pollock paintings. You can spray ink on Charlie via Twitter @clbraith, and don’t forget to follow @load_screen and like us on Facebook.